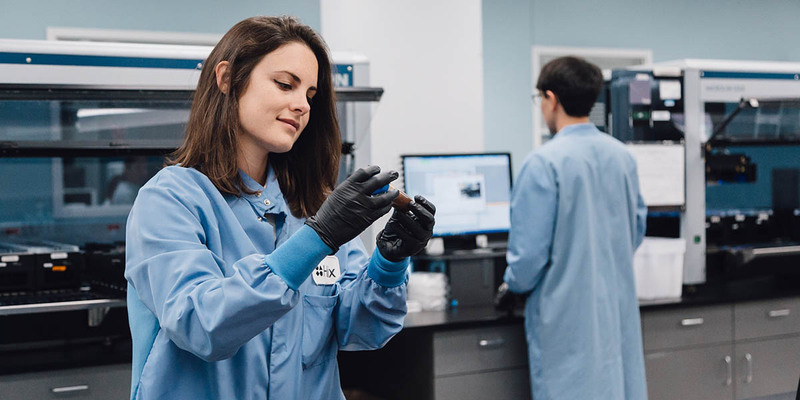 Our unique Exome+ technology, which unlocks 100x more data from your DNA sample than most at-home DNA tests, is designed to let you enjoy new DNA-powered products for decades to come—even as science advances over time. However, Helix is still constantly improving its processes and technology to ensure that we are always enabling the best products for our customers. Occasionally, this may mean that we require a new saliva sample from you in order to purchase some of our new products. We make the new saliva sample collection process as painless as possible: we’ll ship you a new DNA kit at no charge. All you need to do is send it back to us in the prepaid mailer, and our lab will handle the rest. Nothing! Helix is committed to providing you access to all DNA-powered products that we offer, and we’re happy to send you a new DNA collection kit if necessary at no charge. Why is a new sample required? A new product may rely on specific DNA data that was not previously used by any products offered by Helix. Therefore, your DNA data would require quality checks on specific regions of DNA that were not previously needed. You need to send in a new sample only if you are an existing Helix customer who has previously sent in a sample, and the data generated does not meet new sample processing quality requirements for any additional products purchased. We will let you know if you need to do this. When will I find out if I need to submit a new sample? After purchasing a new product in the Helix Store, we check your current data that is securely stored with us to see if it passes the product’s requirements. If it does not meet the requirements, we will email you to let you know that we require a new sample. Does this have any impact on my existing purchases or the DNA insights that they offer? No. Your current products will continue to work as before, and the DNA insights offered by them will not be affected.